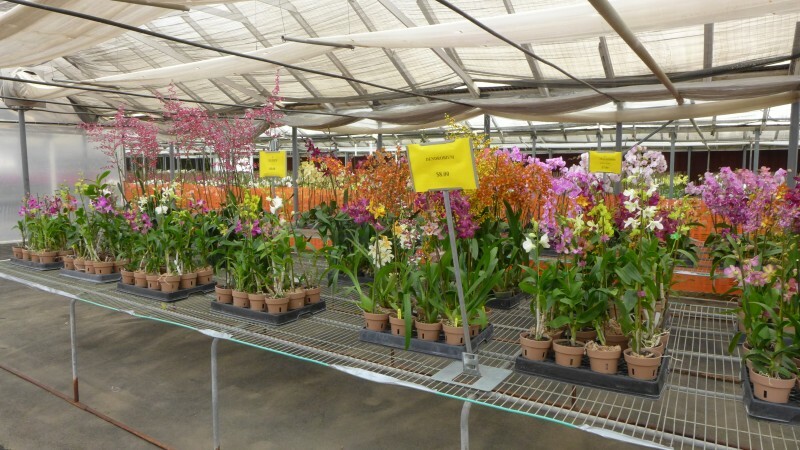 McLellan Botanicals is one of the world's largest commercial growers and suppliers of orchids and ornamental foliage. AROMAS – Not everyone can say they’re excited to go to work, but Jose Carrera experiences that rush every day. 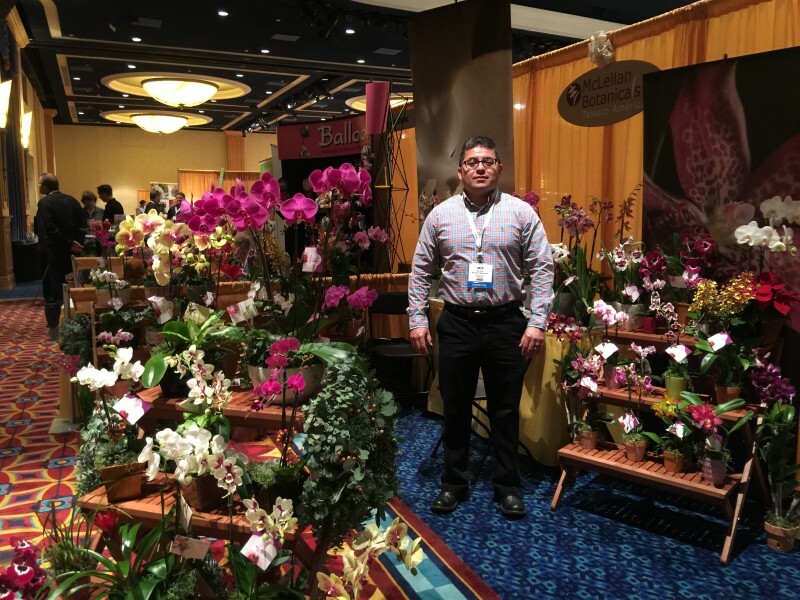 He is the head grower for McLellan Botanicals/Taisuco America, one of the world’s largest orchid growing companies. The Watsonville resident began working for the company, then McLellan Orchids, when he was in high school. 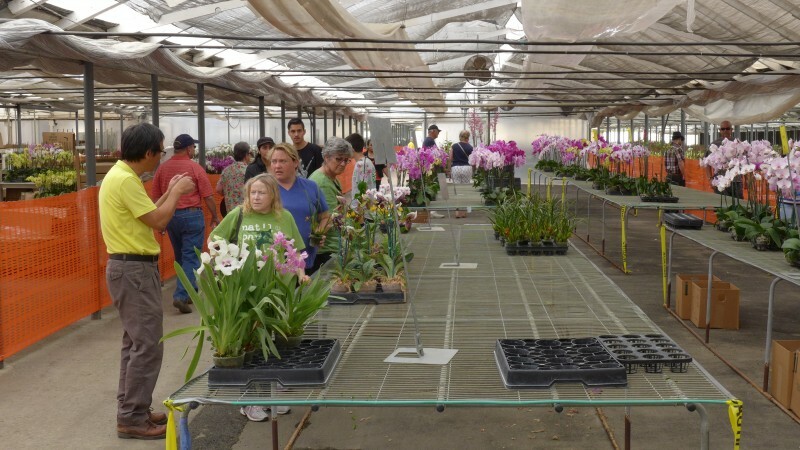 Except for a few years working for another orchid grower, he’s been with the firm ever since. Now 55, Carrera manages 30 to 40 greenhouse workers at the company, situated at 2352 San Juan Road in Aromas. He has been head grower for 25 years. 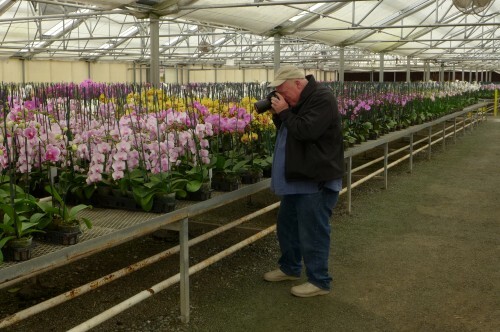 “Acres of orchids,” he says, as he gives a tour of his workplace, situated on 12 acres. 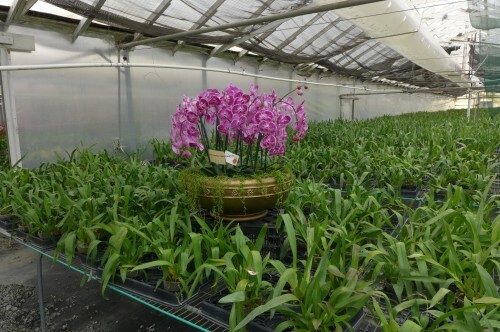 The company ships more than one million orchids a year to large retail outlets. Its own retail store is in the flower market in San Francisco. Carrera wasn’t planning on a career in orchid growing. After graduating from Watsonville High School in 1979, he spent two years studying mechanical and architectural drafting at Hartnell College. But he found the process boring and went back to the orchid business. While in high school, Carrera worked as a gardenia harvester at McLellan on weekends, in the summer and on holidays. When he rejoined the company, he became a lead supervisor. McLellan was founded by Rod McLellan in Oakland in the 1950s. He later moved the company to Aromas. 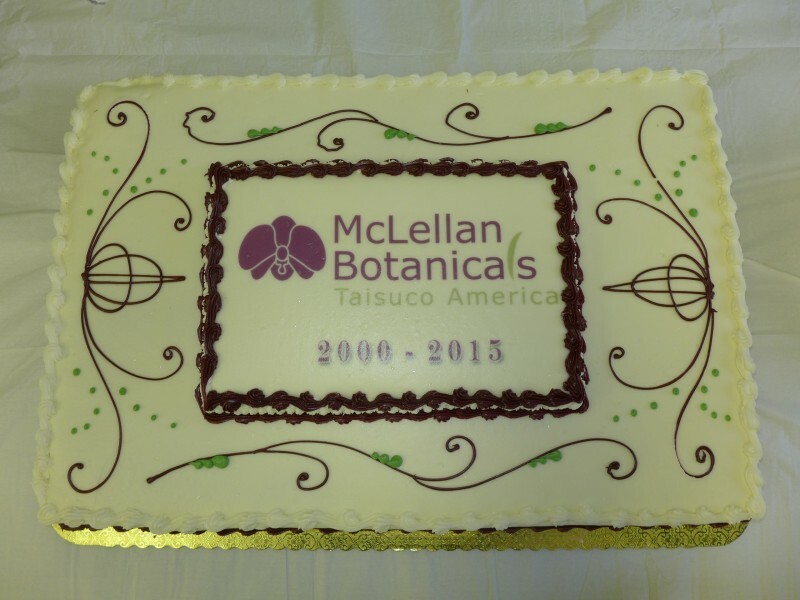 In 2000, the company was purchased by Taiwan Sugar Corp. (TSC) and the name was changed to McLellan Botanicals/Taisuco America. 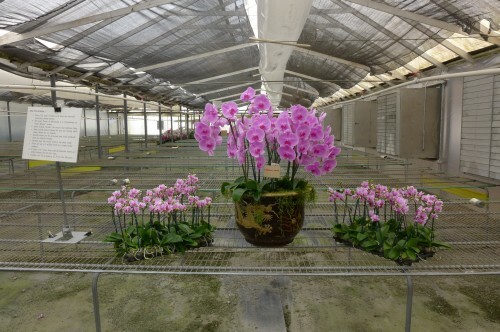 All of the breeding and early propagation of orchids are done at the parent company headquarters in Taiwan. 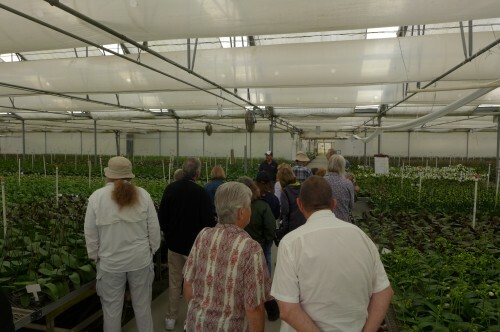 The young plants are then shipped by sea to the Aromas nursery (the company also has a nursery in Texas). They arrive in 2-, 3- and 4-inch pots. The young plants are planted with sphagnum moss, which helps retain moisture and plant nutrition. It’s Carrera’s job to oversee the growing of the young plants into flowers mature enough to ship. That process takes between 90 and 120 days, he said. 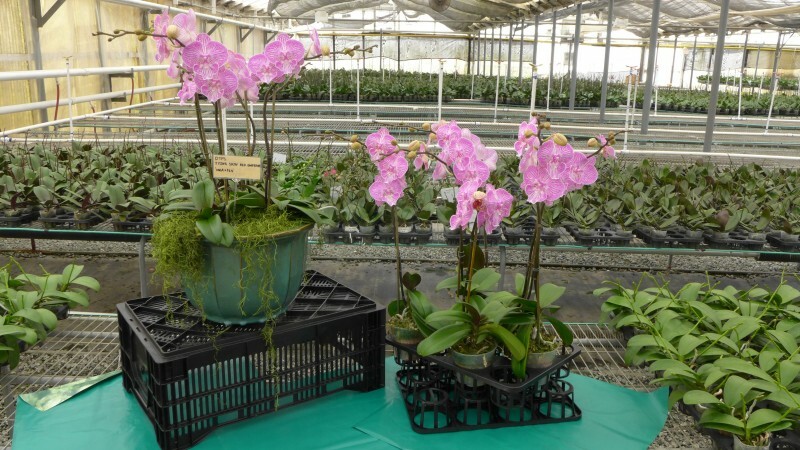 The new orchid plants are placed on large metal benches. Lighting, temperature and moisture are strictly controlled. 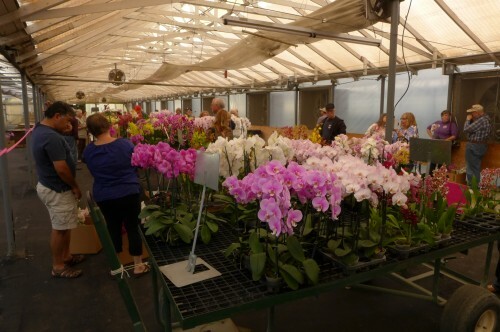 Greenhouse workers began their shifts with watering, then staking and moving the orchids. As the plants mature, their need for heat and light changes, so they are moved into different greenhouse environments. There are more than 25,000 varieties of orchids in nature, growing on every continent except Antarctica. And they come in every color except black. They were once believed to have healing and disease-fighting properties. The only orchid that produces fruit is the vanilla orchid, from which vanilla is derived. When he’s not working growing orchids, Carerra enjoys breeding and exhibiting fancy pigeons. He’s been involved in the hobby since he was very young. “A lot of what I learned with the birds, it applies to my work, because you’re always trying to breed the best,” he said. Carerra and his wife have three grown children (two boys and a girl). He is soft-spoken and you can tell he enjoys what he does for a living. 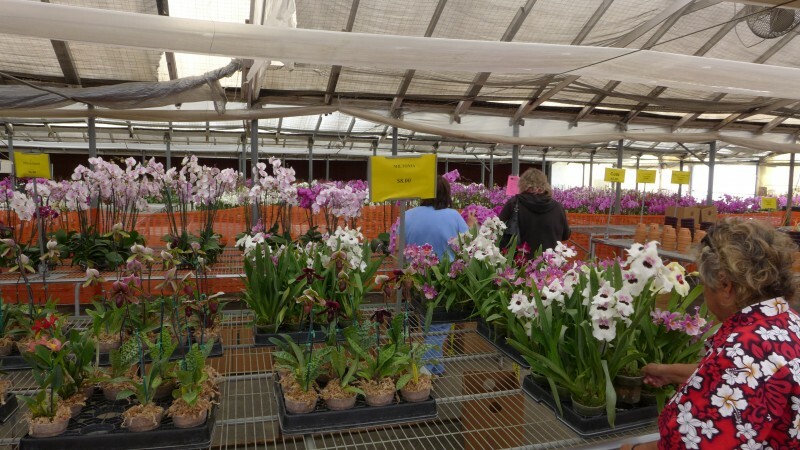 Even though the job can be stressful at times, he said he finds the orchids mitigate the stress. 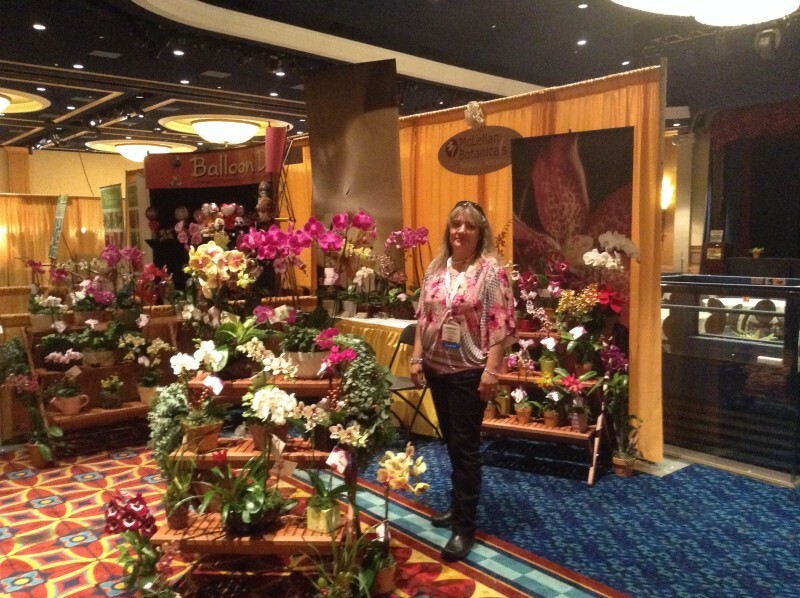 We had a booth at the Southern California Fresh Produce & Floral Expo on July 14th, 2015! Photos below. Air time: 5/26/2015 6:15 p.m-7:00 p.m.
Our Vice President, Kim Hernandez, is featured on the local newspaper “The Salinas Californian” Aug. 8, 2014. As a young girl Kim Hernandez tended her own garden and use to visit a nursery near her home to get supplies like bark and potting soil for her plants. Little did she realize that one day she would be overseeing the 15 acre operation. Hernandez’s grandfather, John Rodriquez, owned a dairy across from Elkhorn School which her father, Jim, inherited. Although she grew up around animals, Hernandez decided to focus on ornamental horticulture when she went to college at the San Luis Obispo campus of Cal Poly. 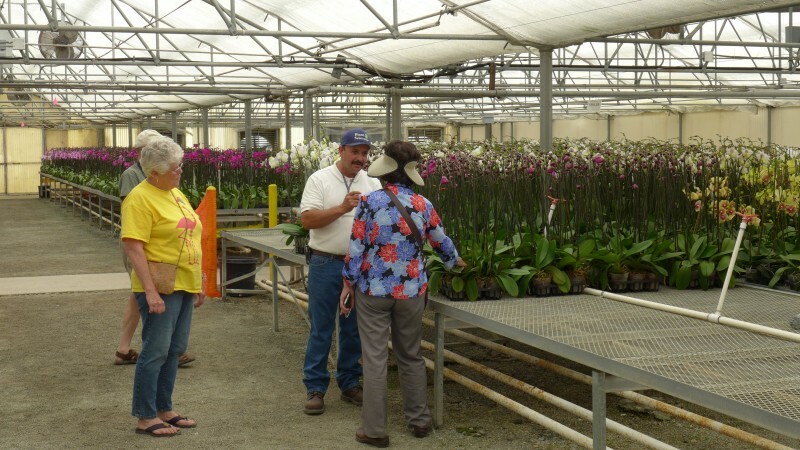 After graduation Hernandez was hired by Bay City Flower Company as a grower of tropical plants, but she eventually became involved in inventory and quality control. She then returned to Monterey County to work for Sunnyside. In 1994 Rod McLellan was looking for a forecast supervisor and Hernandez applied for the position. In a sense she had gone full circle and was now back at the company just down the road from her family home where she had once purchased supplies. When she took the job Hernandez was the liaison between the greenhouse operation in Monterey County and the San Francisco main office. 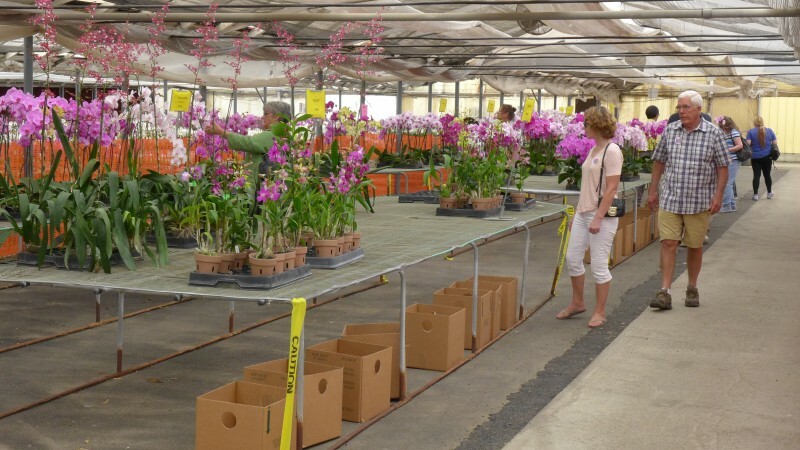 She then switched to overseeing the shipping operation and then managing the entire orchid nursery. In 2000 Rod McLellan’s botanical division was purchased by the Taiwan Sugar Company (Taisuco). 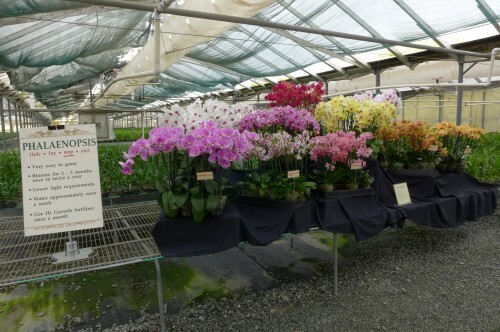 One of the largest orchid growers in the world, Taisuco had been the suppliers of Rod McLellan’s seedlings. The purchase of the firm gave the Taiwanese company a greater presence in the United States and growing facilities in California and Texas. Hernandez remained director of operations until about 2005 when she received the title of vice president. In essence, that added sales to her list of former responsibilities. To reach the McLellan Botanicals/Taisuco America greenhouses the visitor drives through acres of spiral blue and baby blue eucalyptus bushes which are popular for use in bouquets, wreaths and dried flower arrangements. 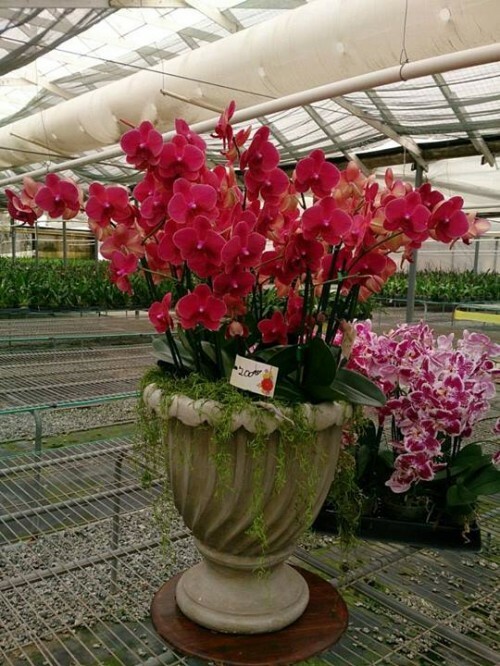 In the greenhouses you’ll find an array of colorful orchids that range from phalaenopsis, paphiopedilum, oncidium alliance and dendrobium to cymbidium and miltonia. 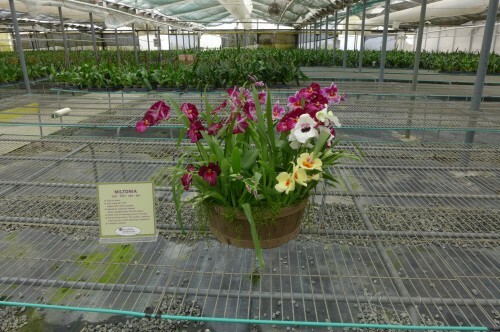 The young plants arrive in containers from Hawaii and Taiwan about every two weeks. There will be roughly 30,000 plants in each container. Placed in new three or four inch pots, they then grow to maturity in Aromas. 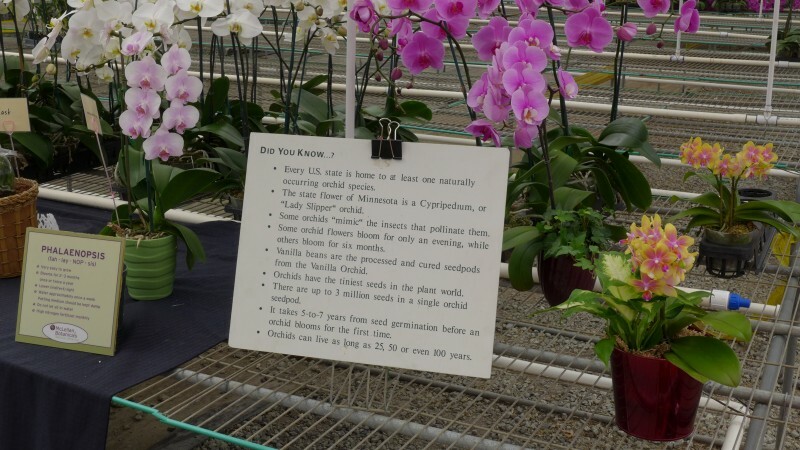 This process takes from five to six months on average, but some orchids will need over a year to fully spike. 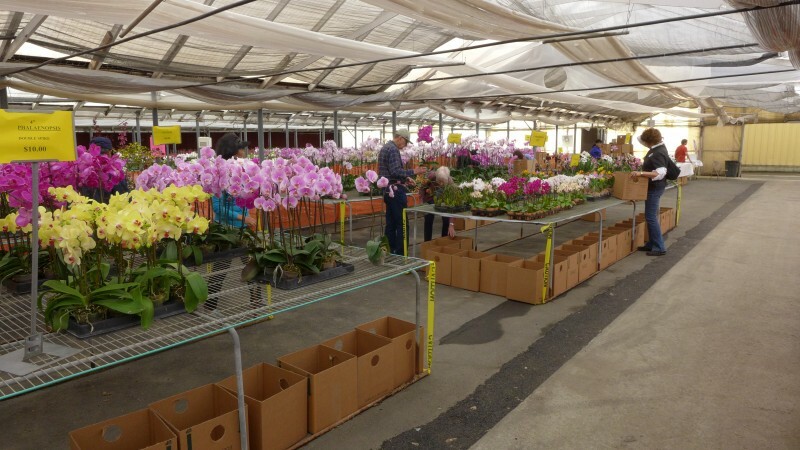 When ready to ship, the orchids are sent to box stores, grocery chains, hotels and flower retailers primarily on the West Coast, Texas and Florida. 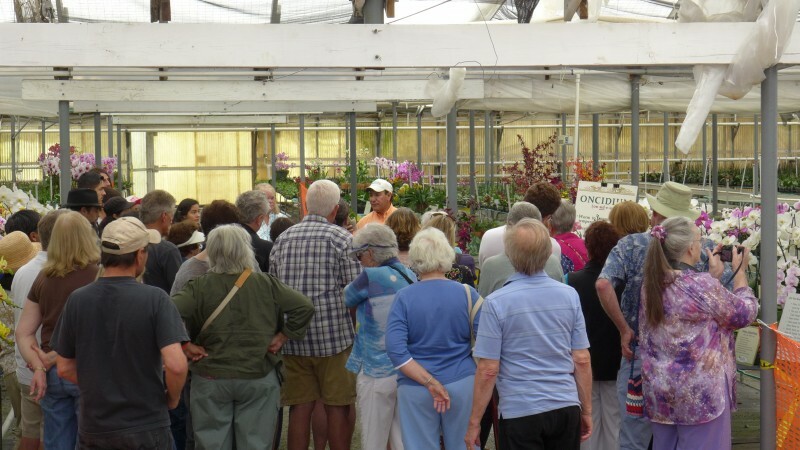 Hernandez said that orchids are also sold at some of the Central Coast’s farmers’ markets and at the Flower Mart in San Francisco. 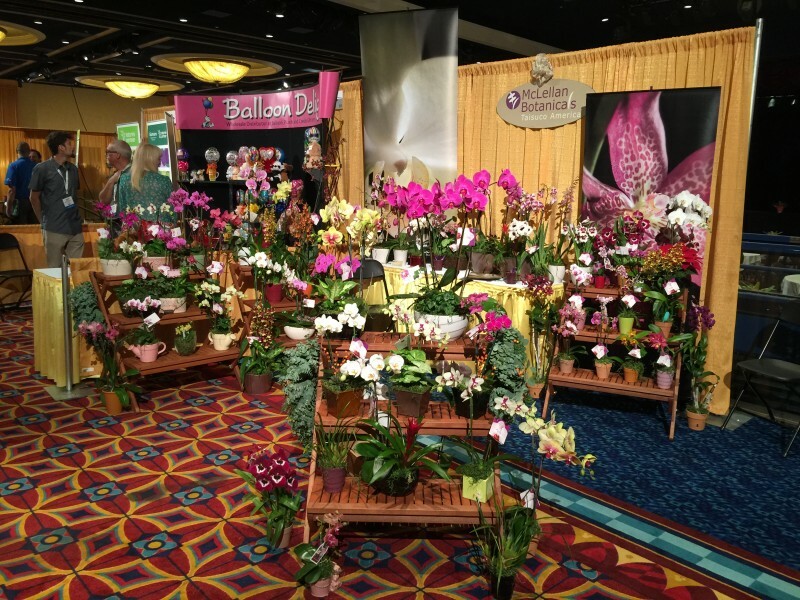 Orchids have become more popular with consumers as the myth that they are hard to care for has been dispelled. Given how long it will last if watered regularly, a plant with blooming spikes can last a couple of months, which makes it a bargain when compared to cut flowers. Hernandez is proud of the fact that McLellan Botanicals/Taisuco America has employees who have been with the company for decades. She says some of their growers have been here longer than she has. “That really helps with our quality control because we aren’t always having to train new staff,” she says. The path that one takes following a career often takes one far away from her roots, but in Kim Hernandez’s case she ended much closer to her family home than she would have ever expected. OCCUPATION: Vice President/General Manager of McLellan Botanicals Taisuco America of Watsonville. WORK: Bay City Flower Co., 1984-91. Sunnyside Nursery, 1991-94. McLellan, 1994-present. EDUCATION: Graduated from North Salinas High in 1980.Received degree in Ornamental Horticulture in 1984 from Cal Poly, San Luis Obispo. PERSONAL: Lives in Hollister and has one adult daughter. Check out more stunning photos from the local news The Salinas Californian on June 21, 2014. 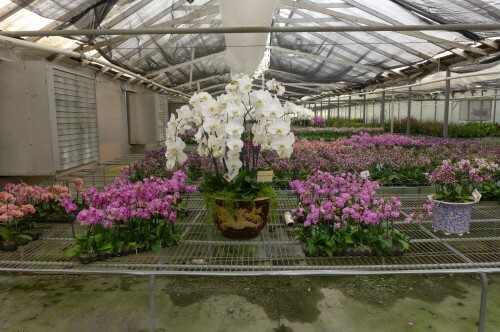 Taisuco America’s Orchids were featured in a Chinese news website News for Chinese on January 8th, 2012. Here’s the article and the video is below.